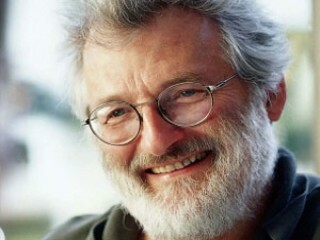 John E. Sulston, a British biologist who, with Sydney Brenner and H. Robert Horvitz, won the Nobel Prize for Physiology or Medicine in 2002 for their discoveries about how genes regulate tissue and organ development via a key mechanism called programmed cell death, or apoptosis. Sulston earned a B.A. (1963) and a Ph.D. (1966) from the University of Cambridge. Following three years of postdoctoral work in the United States, he joined Brenner's group at the Medical Research Council in England (1969). From 1992 to 2000 Sulston was director of the Sanger Institute in Cambridge. Sir John E. Sulston won the Nobel Prize in Medicine in 2002, for his pioneering research into programmed cell death (apoptosis). Using a microscope outfitted with special lenses, he was the first scientist to actually observe as the cells of a millimeter-long worm, Caenorhabditis elegans, divided and died. His work showed that as every healthy individual worm develops into an adult, the same 131 cells are eliminated by killed off in an orderly, sequential process. He shared his Nobel honors with his colleague Sydney Brenner and with H. Robert Horvitz. Later in his career he co-founded the Wellcome Trust Sanger Institute, named for two-time Nobel laureate Frederick Sanger. At the Sanger Institute he led a team of several hundred scientists in the United Kingdom's portion of the Human Genome Project. Since retiring he has worked to ensure that the genetic blueprint he worked on remains publicly and freely available, and he has described as "totally immoral and disgusting" the idea of profiteering from such research. He has called for changes in patent law, and specifically complained that pharmaceutical giant Roche's monopoly on sales and marketing of the anti-viral drug Tamiflu denies the drug to patients whose lives may depend upon it. View the full website biography of John E. Sulston.